The Rupes LHR 15E Big Foot Random Orbital Polisher sets the stage for 21st century detailing. 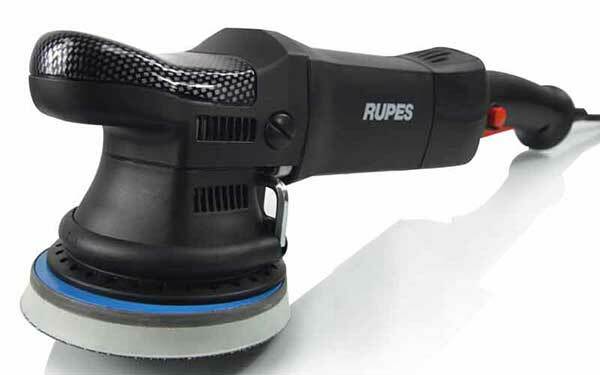 Rupes, an Italian company that has been manufacturing precision tools since 1947, has developed the most high-tech orbital polisher the world has ever seen. Over several years of development, the LHR 15E has redefined paint correction for the enthusiast and professional detailer. 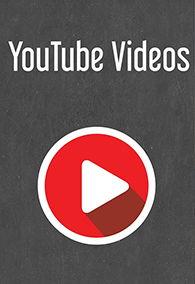 The innovative system allows for the smoothest and most efficient polishing experience. The amazing Italian design will change the way you polish paintwork forever. 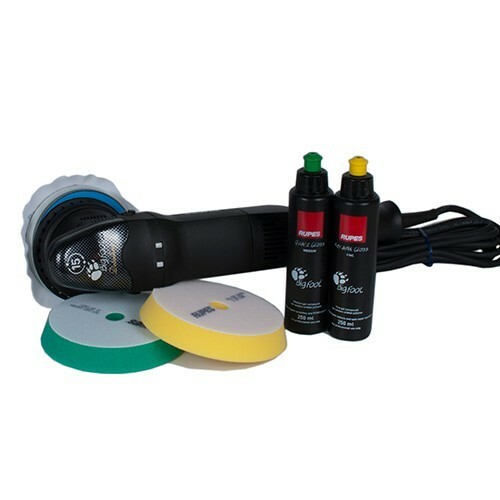 The Rupes LHR 15E Big Foot Random Orbital Polisher utilizes a unique 15 millimeter throw which covers more surface area than a conventional orbital polisher. The larger throw allows the Rupes LHR 15E to remove swirls, scratches, holograms and other paint defects faster and easier than any other machine. A typical orbital polisher has a throw between 4 and 8 millimeters. The LHR 15E Big Foot’s 15 millimeter throw gives this revolutionary polisher the ability to run smoother and correct defects faster than a conventional dual action polisher. The Rupes LHR 15E comes equipped with a 5 inch hook and loop backing plate designed to use 5 inch pads which can polish smaller panels and tight curves. Chemical Guys 5 Inch Hex-Logic and Microfiber Polishing Pads are a great choice to use with the Rupes LHR 15E Big Foot Polisher. The Rupes LHR 15E Big Foot Random Orbital Polisher creates a flawless finish with an industry leading 15 millimeter throw. The advantage of using a Rupes LHR15E is the ability to create a finish that is free of swirls or holograms. 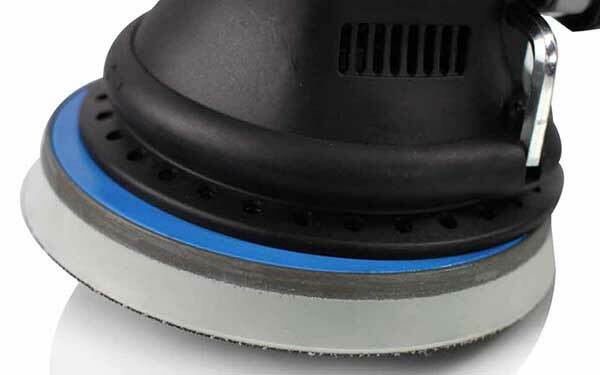 A typical rotary polisher can remove paint defects very quickly, but can also create swirls and holograms into the paintwork due to the machine’s power. The Rupes LHR 15E Big Foot Random Orbital Polisher leaves a flawless finish when polishing on single stage and clear coat surfaces. The Rupes LHR 15E is perfect for the novice and professional detailer looking for a high performance, easy to use polishing machine. The Rupes LHR 15E Big Foot Random Orbital Polisher utilizes a unique 15 millimeter throw. The innovative larger throw makes the Rupes LHR 15E ideal for polishing large surfaces with a 6 inch pad. Chemical Guys Microfiber Polishing Pads give this machine the ability to remove heavy paint defects while also polishing to a flawless finish. The dual-action orbital technology evenly and safely polishes the surface for a perfect shine. The Rupes LHR 15E Big Foot Polisher makes paint correction easier than even imagined without the risk of burning through the paintwork. 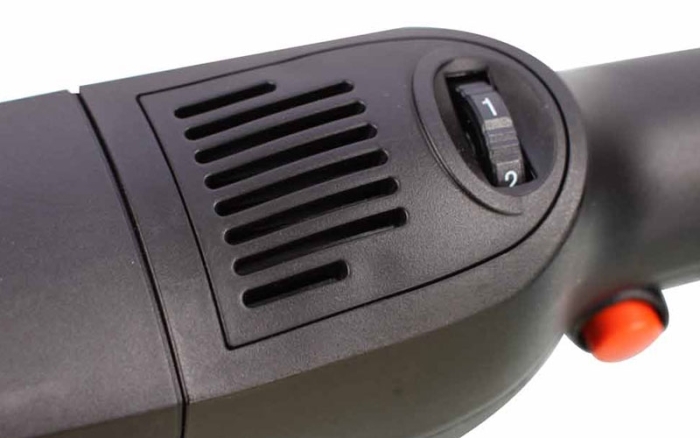 The Rupes LHR 15E has the same innovative design as the LHR 21ES, yet has a 15 millimeter throw which allows the machine to fit into tight places and easily polish smaller panels. The Rupes LHR 15E Big Foot Random Orbital Polisher uses superior Italian craftsmanship to create a tool that is built to last. The innovative engineering and design makes the LHR 15E the perfect machine for extended polishing jobs. The ergonomic design allows for precision paint correction with complete comfort. The soft-start system allows for total control by slowly increasing the speed of the machine once the trigger is pulled. Rupes soft-start system reduces the risk of slinging polish away from the machine while maintaining the polisher’s constant speed. The Rupes LHR 15E Big Foot Random Orbital Polisher features a variable speed control that gives the user six settings for any polishing situation. Perfect for polishing cars, trucks, boats, RVs, and even motorcycles. 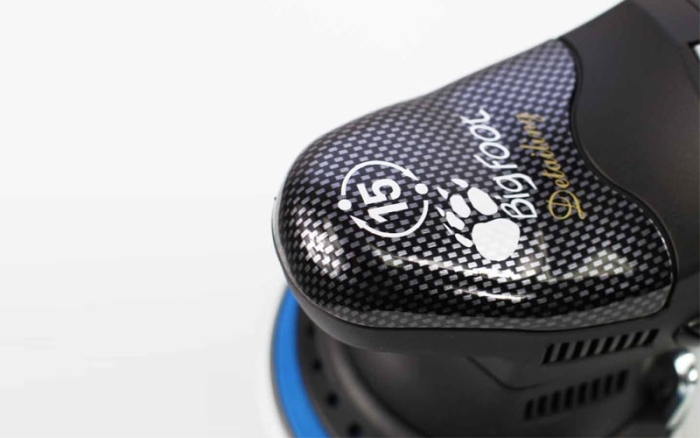 The Rupes Big Foot Polisher is built to handle any detailing situation. Quickly and easily create a flawless finish on any color paintwork. Rupes utilizes innovative design characteristics to provide any detailing enthusiast with the power to handle any paint correction situation. The Rupes LHR 15E Big Foot Random Orbital Polisher will take your detailing possibilities to the next level of perfection.